More information can be found on the Leo Baeck Summer University website. 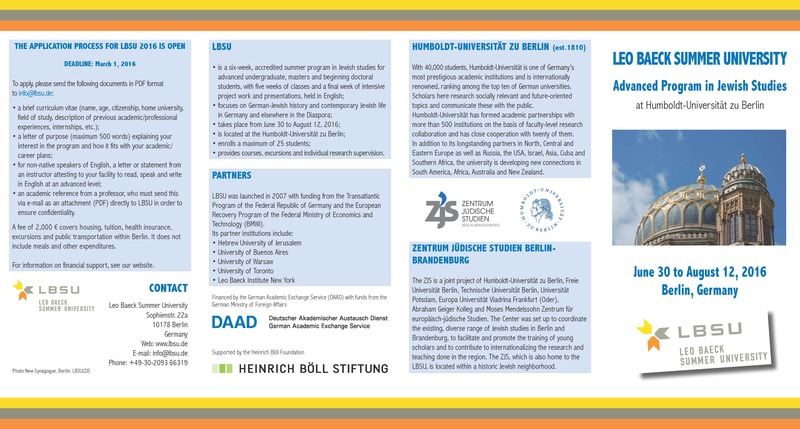 Leo Baeck Summer University is an annual, six-week summer program in Jewish studies at the Humboldt-Universität zu Berlin, under the auspices of the Zentrum Jüdische Studien Berlin-Brandenburg (Center for Jewish Studies). 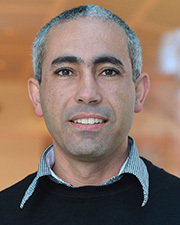 The program consists of two modules plus intensive project work and is combined with excursions, lectures, and meetings all related to the academic program. LBSU focuses on Jewish life in Germany from the 19th to 21st century and its relationship to other Jewish communities worldwide. The first module, Modern German-Jewish History, covers the history of German Jewry from the 18th to the early 20th century and from the Nazi to the post-war period. We are adding a special emphasis in 2016, looking at how Germany's Jewish community has been affected by both the post-Soviet Jewish immigration over the last 25 years, and today's massive influx of Muslim refugees. 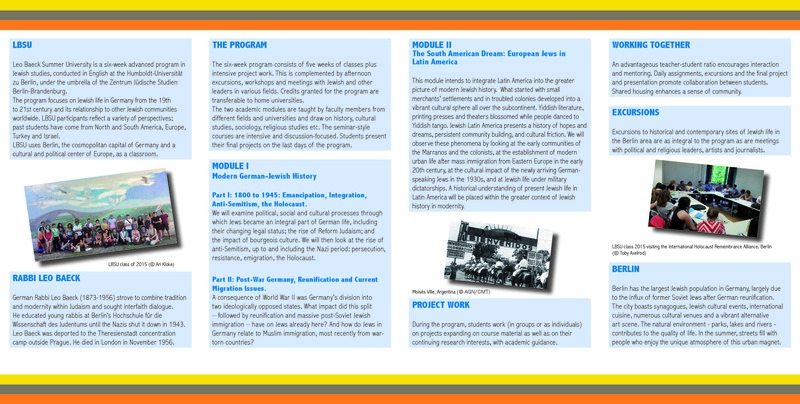 Our second module also has new focus in 2016: The South American Dream: European Jews in Latin America. This module intends to integrate Latin America into the greater picture of modern Jewish history. Throughout the program, students will be introduced to current issues in Jewish life in Germany today.